Portland, Oregon February 1, 2016– Portland has once again hosted six school exchange programs representing approximately 100 students from middle and high schools from Suzhou China. This program occurs during the Chinese, “Spring Break” time period when students have two weeks of vacation. This program contributes to the ongoing success in promoting Portland as an excellent opportunity for a study abroad program for Chinese students interested in our K-12 programs as well as university studies here in Portland. According to a recent article in the Wall Street Journal the number of Chinese K-12 students rose 290% since 2008. There are now 360,091 Chinese students at US Universities. The benefits are enormous in terms of immediate and future economic development as well as global understanding and cooperation. 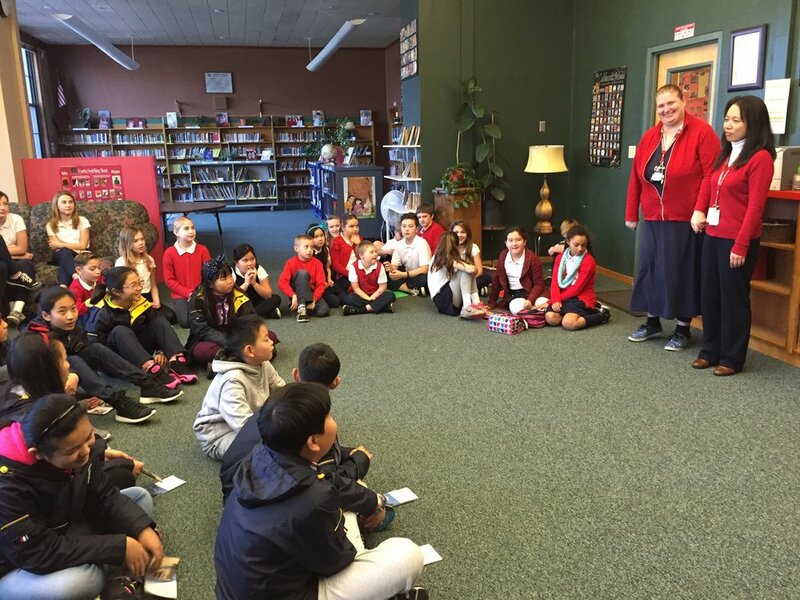 The Portland-Suzhou Sister City Association in conjunction with Portland City Hall and Travel Portland participated in the welcoming ceremony for each school from Suzhou. 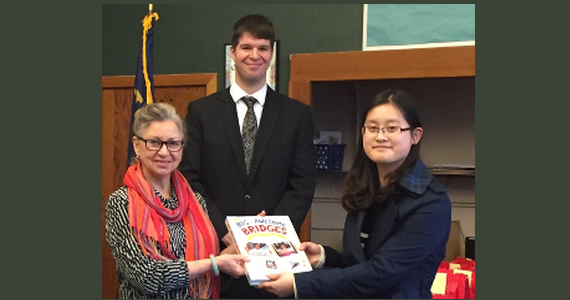 In the cover photo, Bonnie Starkey has presented as a gift to the library of the Suzhou Experimental Elementary School Education Group the “Big and Awesome Bridges of Portland and Vancouver” by Portland author Sharon Wood Wortman and Ed Wortman. Jeff Hammerly, Manager, International Tourism -Asia at Travel Portland provided a Portland Travel Guide in Mandarin and a Portland Souvenir Notebook to record the memories of their visit. A welcome letter from Mayor Hales was also presented. This presentation was made at the Cascade Heights Public Charter School. The French American International School, Woodstock Elementary School, The International School, Hosford Middle School and Cleveland High School also participated in the Suzhou Student Exchange program. Portland Board members presenting also included, Wei Nathan, Jenny Dong, Dr. Gao, Lynne McIntyre and Robert Fraser. This exchange program which was first initiated by PSSCA could not be possible without the support of parents, teachers and school administrators as well coordinators Kojo Hakam, Curriculum Specialist, Portland public Schools Mandarin Immersion Program, and Hongyu Cai, Director of Skybridge International based in Portland, Oregon, a subsidiary of the Wuzhong Group, Suzhou, China. The Portland-Suzhou Sister City Association is a non-profit organization of volunteers whose mission is the promotion of educational, cultural exchanges and business development between our two cities. Our annual fundraising Evening Under the Stars Gala is scheduled for Thursday, June 23 at the Lan Su Chinese Garden and is open to the Public. For additional information and sponsorships, contact Robert Fraser, Secretary at rjf@fraserglobalsourcing.com.